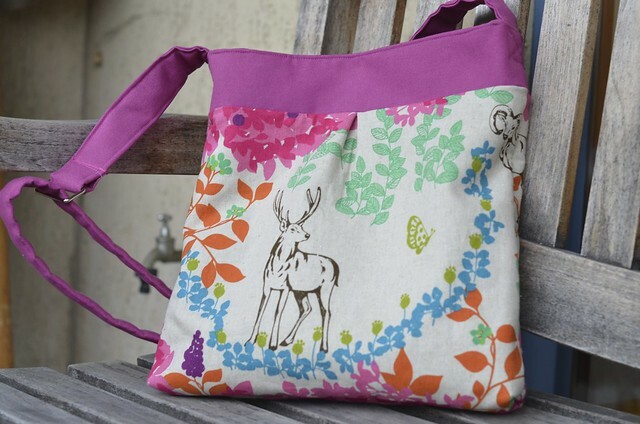 I bought this cute Japanese Echino deer fabric at Frau Tulpe in Berlin last summer. It’s a cute mix of colorful, playful flowers and animals. The pink fabric is a heavyweight cotton fabric from IKEA. I came up with the pattern myself. 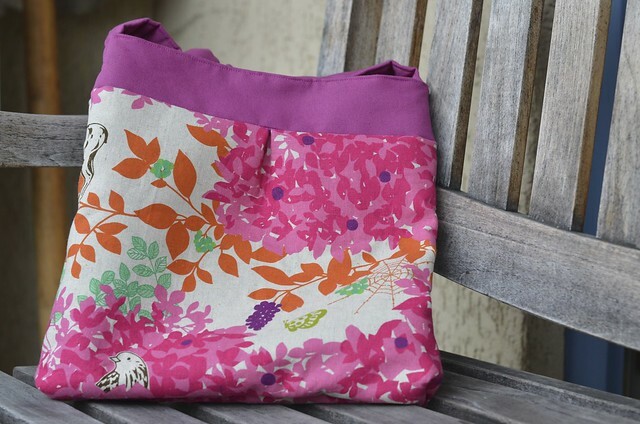 I wanted a similar bag to this Echino bag I made last summer. I love the shape and the size and I’ve used it almost daily in the past year. I wanted a smaller bag that I can use for running errands etc. It has an adjustable shoulder strap so it’s convenient when I ride my bike. 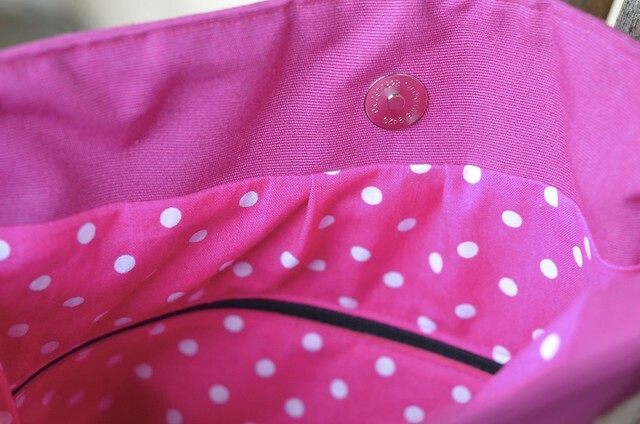 It’s very simple inside – a cute pink polka dot fabric I found in my mom‘s stash and a zippered inner pocket for my keys, wallet, etc. A day with a cat. That bag is really adorable! I absolutely love that pattern, so cute. Very nicely done!